Meet the Teachers of Mo Music! sharing the joy of musicwith children and families in the peninsula! All teachers have successfully completed Music Together Teacher Training, which is built on research in early childhood and music development. We keep our skills fresh through workshops every semester and advanced trainings offered by Music Together Worldwide. As Mo Music director, teacher and mother of two, Mona’s vision for Mo Music is to grow engaged learners through quality music education, and to nurture and celebrate community along the way! During her childhood, Mona dreamt every day of singing for a living — and she is doing exactly that! Before she founded Mo Music in 2003, Mona participated in the Music Together® program with her own children. 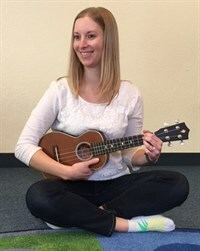 Then shortly after she began teaching Music Together, she identified the need to develop a quality program for 3 1/2 to 7 year olds so she created her Kodaly-based Kids Sing program. She was extensively trained in this singing method by Holy Names University, Oakland, California. Mona has a B.A. in Vocal Performance and teaching credential from California State University, Hayward, and has been singing professionally for 25 years in choirs, jazz combos and Big Bands. In addition she taught choir for 7 years at San Mateo’s Bayside Middle School for the Arts. 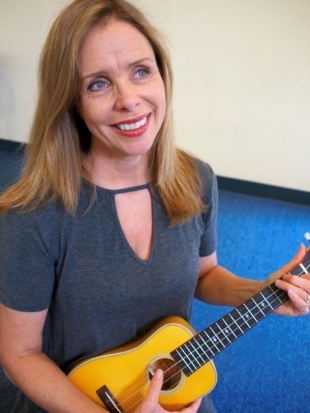 Mona is also a songwriter and recording artist, and is the proud composer-producer of the 2016 CD entitled “Running Home.” Mona lives in Redwood City with her professional drummer and music educator husband, Jeff, and their two children, Madison and Ben. Mona teaches Music Together, and gives private voice lessons, at Mo Music’s Redwood City location. Amy has been teaching Music Together for over ten years and has her own two children in the Mo Music program. She enjoys coaching and performing music with her daughters, Isabella and Zoe. From age seven Amy played piano, finished the Music Teacher's Association music theory program as a teenager, and continued piano, theory and voice lessons at Pomona College. In turn she performed in various bands, including jazz and rock groups, and has toured in the US and Europe as a background vocalist. Amy has studied opera, has performed in recitals, weddings and musical theater, and has provided voice and piano instruction to children as a sideline to her career as a city planning manager during the work week. Amy teaches at San Carlos Recreation Center. 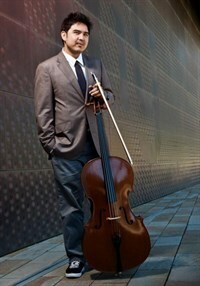 Anton, a cellist and music educator, has been performing and teaching music throughout Southern California and the Bay Area since 2000. Keeping an open mind, Anton has had the opportunity to perform a variety of musical styles ranging from Western Classical Music, Rock, Classical Middle-Eastern Music, Caribbean Music, Tango, and New Compositions that incorporate the cello. Traveling to play music is among Anton’s favorite musical endeavors. Trips to Trinidad and Tobago to perform in the 2000 steel drum Panorama competition and tours to Egypt in 2007, Detroit in 2009, Abu-Dhabi in 2010, and Oman in 2012 and 2016 with MESTO, and performances with the Hurd Ensemble in New York and Washington D.C.’s Kennedy Center, rank as some of his most valuable musical experiences. Anton views music education as an important part of any student’s overall development, citing his experience in public school music programs from middle school through high school to his tenures at California State University Long Beach and Northern Illinois University. Anton has studied with Andy Honea, Bong Shin Ko, and Marc Johnson of the Vermeer Quartet. Desiree is a Music Together teacher who has been with Mo Music for several years. She discovered Music Together while working as a nanny, participating in classes with the children she cared for. Desiree hails from South Dakota and has been passionate about music from a very young age. She achieved a Bachelor’s of Music Education degree from South Dakota State University in 2010 with an emphasis in vocal music theory. While in school, she was a member of the Pride of the Dakotas Marching Band, SDSU Jazz Band, SDSU Concert Choir, and other groups which featured performances in the Rose Bowl Parade and a tour through Germany. She is also an accomplished pianist, having taken lessons for 12 years and accompanying several ensembles of varying sizes. Before moving to California, Desiree led an entire school district’s vocal music program for one year. Once she discovered Music Together, it was clear that she wanted to pursue teaching in the program. Desiree adores teaching kids to love music! Desiree teaches at San Carlos Rec, Redwood City Rec, and Mo Music in Redwood City. She also is offering private piano lessons at Mo Music in Redwood City. Born and raised in the Bay Area, Gabriela has been working in music within several communities since 2011. For 5 years, she was an elementary school music teacher with Music for Minors, for whom she taught general music in classrooms Pre-K to 5th grade. Currently Gabriela works in the field of Music Therapy, leading music groups with disabled, autistic and adult individuals. She is also a Play and Learn instructor at Gymboree Play and Music Development Center which serves children newborn through age 4. In addition, she performs solo piano for events, and she enjoys presenting her own song/guitar compositions. Gabriela teaches Music Together classes at our Mo Music location. Steven began his Music Together journey as a parent in one of our classes. He was thoroughly impressed with the program so opted straightway to embark on Music Together training and teaching. 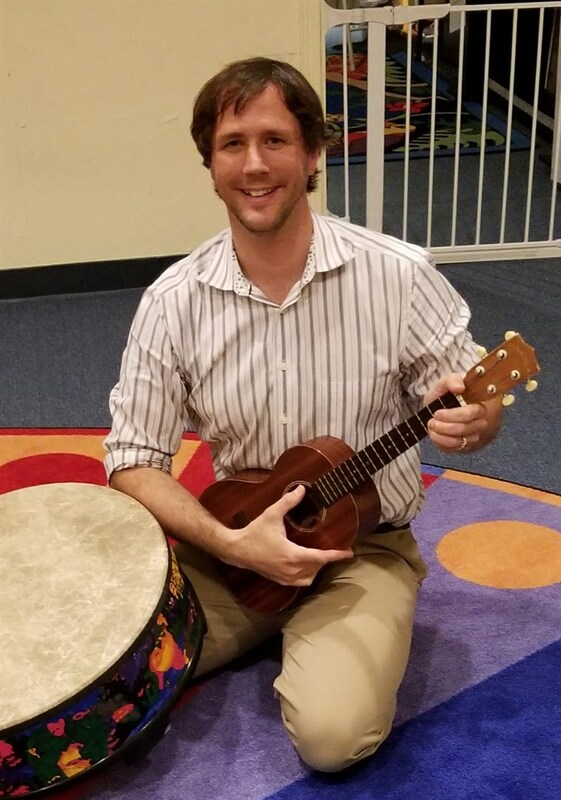 Music is Steven’s biggest passion in life, and he strongly believes all children can enjoy music as active participants. Steven is a natural leader, possesses a wonderful voice, and has played piano since the age of 4. He also plays trombone and penny whistle by ear. A tune runs through his head almost continuously, and he’s often heard whistling! He has performed at diverse community and retirement facilities, parties, and currently plays at Stanford Medical Centers. Steven is bilingual in English and German and has a Bachelor of Science degree in Environmental Studies from Southern Oregon University. His experience teaching children outdoor science dates to his junior high school years, and as a former adventure tour guide and summer camp instructor he loves immersing himself in hands-on learning whether music- or science-based. Steven teaches at San Carlos Rec Center and Mo Music locations.